Wake up to a charming little app called "Alarm Clock Pro". The iPhone is a wondrous device with so many functional applications to make up a multipurpose solution for various user needs all in one package. In addition to the bundled apps that come with every unit, there are several free and paid add-ons that serve to enhance the experience of owning an iPhone. Those looking for an alarm clock app to add to the defaults in their device can find a very useful alternative in Alarm Clock Pro from iHandySoft. This app has a nostalgic feel in it with its bedside-alarm-clock appearance, but there are so much more to it than meets the eye. For a dollar, users not only get a full function alarm clock app but loads of other unique options as well. Alarm Clock Pro gives the user the ability to change settings like brightness level, color and style. It also has a flashlight option as a nifty feature. iPhone users can select from either a standard time or military time format for its main display, which can also show the current weekday. Customize options for a snooze function and multiple alarms are also available. Any one of a default array of up to twelve alarm tunes can be set, but sounds sourced from the device’s music library can be used just as well. 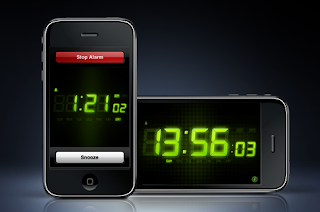 With an iOS 4 enabled in the user’s device, Alarm Clock Pro is able to do its potentially most unique feature, which is to set the alarm even without having to manually run the app. Alarm Clock Pro satisfies many of the needs users look for in a digital alarm clock. A convenient package and numerous functionalities make it handy for waking up to all kinds of settings both in the comfort of the home or outdoors. Future functions that are sure to excite users include a soon-to-be launched sleep timer feature, which allows music listeners to fall asleep without having to turn off their devices manually. With the addition of the sleep timer the app comes full circle as one of the most versatile in its category. New themes are also in the cards with future releases. Alarm Clock Pro is one the most comprehensive Alarm Clock applications to make its way to the iPhone. For a price just a cent shy of one dollar, users will have availed of an excellent clock and alarm gadget chock full of tasteful options. Competitors will find it hard to beat it in terms of value and utility. I really like the idea of wake up alarms.